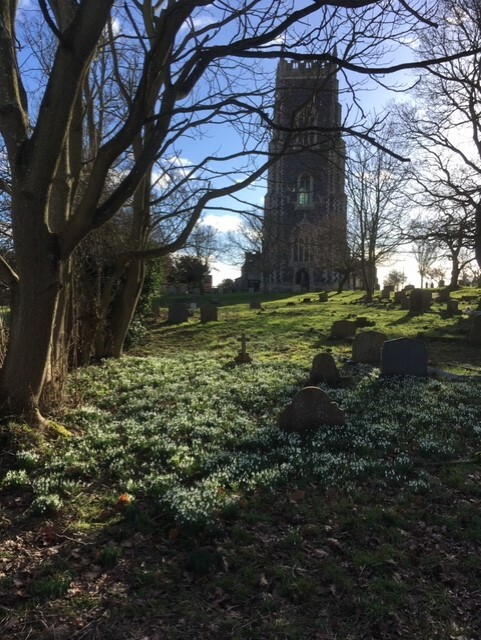 Come and help tend the churchyard at All Saints (second-largest churchyard in the country). Mow the grass, rake leaves, rake the mowings, trim the verges, weed round the gravestones, trim the shrubs, flatten the molehills, pull out the suckers, plant bulbs…. You don’t have to do heavy work if you’re not up to it. Come for as long (or short) as you like or just come for coffee at 11.00. The churchyard now looks more loved than ever.